My husband has kind of a crazy work schedule and there are some nights when he’s literally got a 30 minute window to be home for dinner. Nights like these I always want to make something that’s quick and easy so it can be waiting on the table when he walks in the door. We’ve also been trying to lighten up our favorite dishes lately, so this recipe covers all my criteria. The rice noodles are coated in a low calorie sauce, tossed with added protein and garnished with fresh herbs and roasted peanuts which makes one serving of this dish (which serves 4) just around 300 calories! It’s super simple and full of flavor making this dish a perfect one to add to your week night repertoire. If you leave out the egg, this dish is vegan. Measure out the 8 ounces of noodles needed and prepare the according to the packaging. 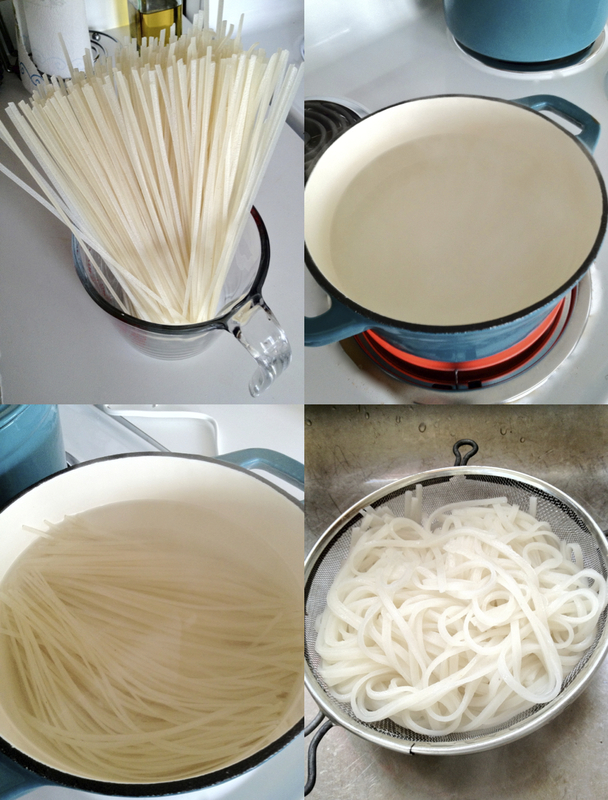 Mine called to bring a pot of water to a boil, add the noodles, remove from heat and soak for 10 minutes. Drain the noodles and set aside. In a small bowl whisk together the brown sugar, lime juice and soy sauce. In a large nonstick skillet heat the oil over medium-high heat. Add the scallion whites and the garlic and cook until fragrant, about 30 seconds. Add in the eggs and scramble until almost set, then remove the egg mixture from the skillet and set to the side. 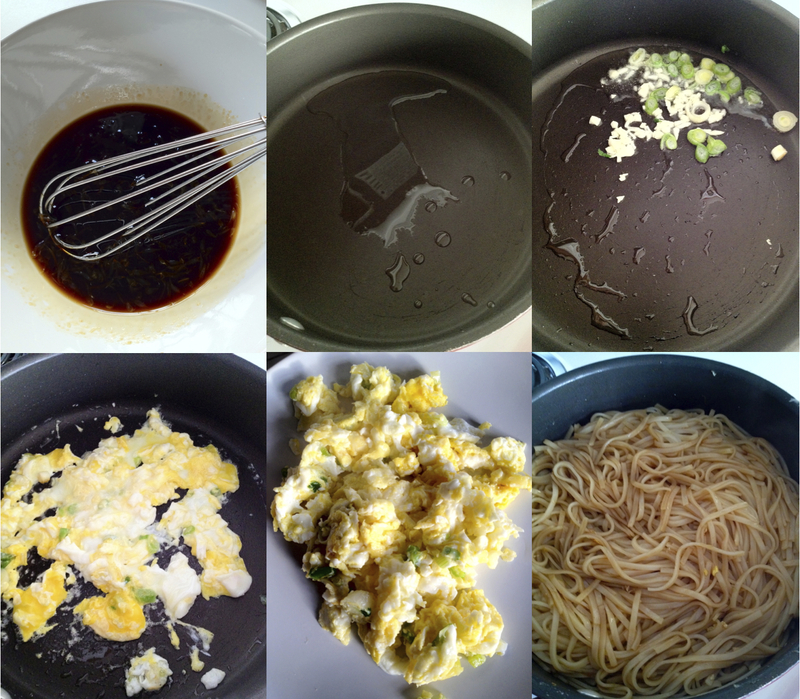 Add the noodles and the sauce mixture to the skillet. Cook and toss until the noodles are coated and soft, about 1 minute. Add in the egg mixture and the green parts of the scallion, toss to mix. 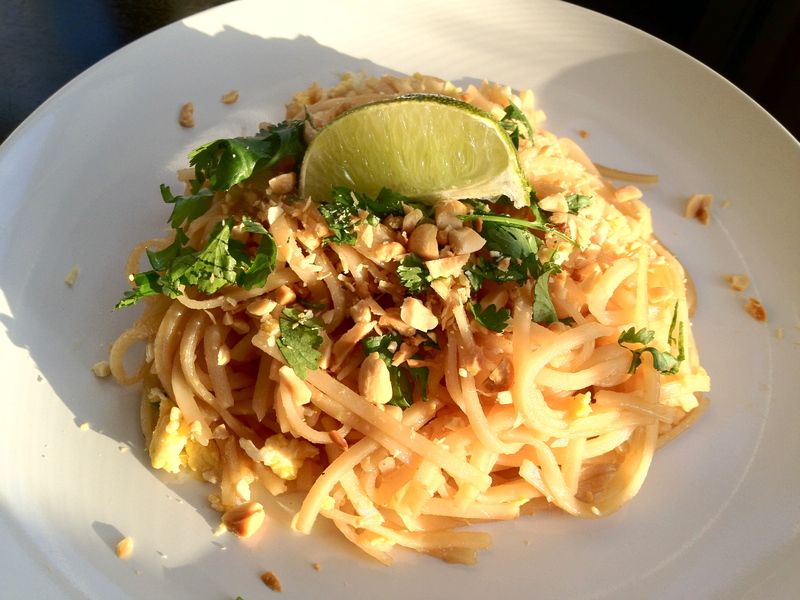 Separate the noodles onto plates and garnish with chopped peanuts, cilantro and a lime wedge. looks great! i love pad thai!